It may be the middle of summer, but the fall season is on the horizon for the University of Wisconsin women’s soccer team. The team begins their season from the McClimon Soccer Complex with a scrimmage against Mississippi State Aug. 8 and their first regular season match against the North Dakota State Bison Aug. 16. 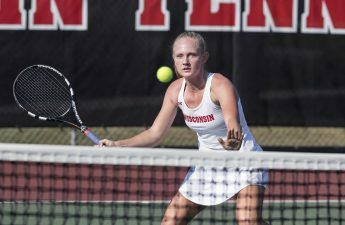 Though the Badgers faced inconsistency for much of last season, the team ended their year on an extremely positive note beating No. 11 Penn State 1–0. In the tournament, the Badgers had even more success beating No. 8 Toledo in a commanding 5–0 first-round victory but would later fall just short in a 1–0 loss against No. 1 seed South Carolina. This year, there is no reason the Badgers shouldn’t expect the same level of success — if not more. Star strikers Dani Rhodes and Lauren Rice will both return alongside some talented freshmen. Rhodes will undoubtedly look to be the focal point of the Badger offense again in her junior year. During her breakout sophomore season, she led the Badgers in goals, assists, points, shots on goal, shot percentage with a minimum of 15 attempts and just about any other offensive statistic. But Rhodes’ dominance was at times an Achilles’ heel for the Badgers as they struggled to generate offense away from her. 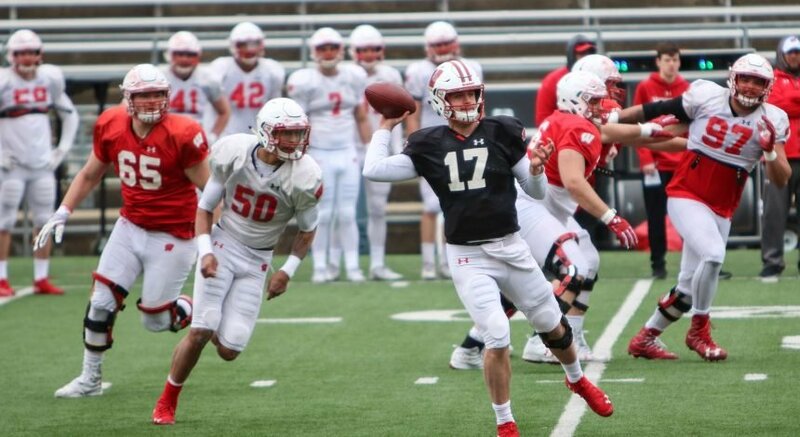 Toward the end of the year, the Badgers started using more aggressive offensive lineups by putting players like Cameron Murtha on the attack alongside Rhodes and Rice which seemed to contribute to their late-season success. Along with their current roster, the Badgers add eight freshmen. Jamila Hamdan, Lily Rawnsley, Carolyn Anschutz, Natalie Viggiano, Audrey Poorman, Michayla Herr, Lindsey Weiss and Johanna Barth will all join the team this fall. 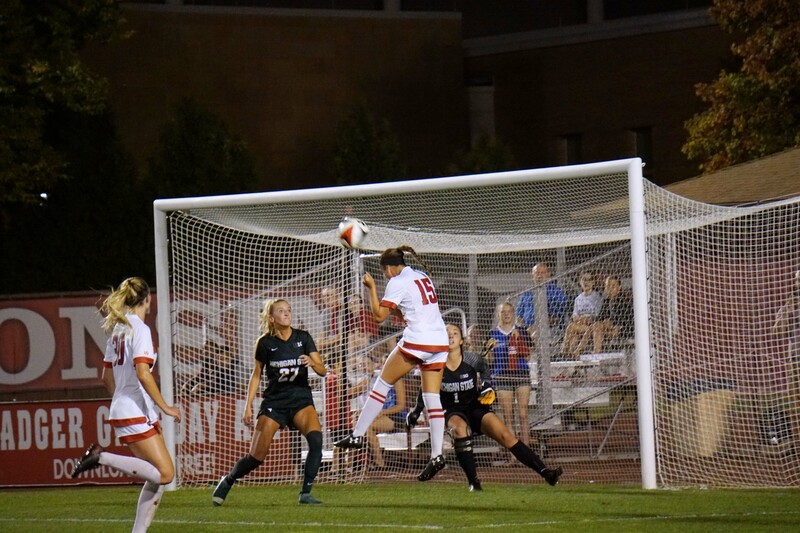 If the Badgers are looking for an offensive spark from their younger players, Weiss could be someone to look out for this year as she is the only pure striker of the group. 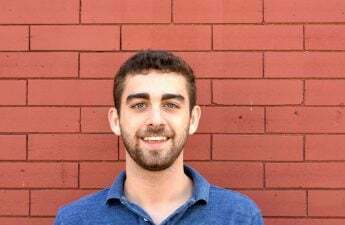 The forward was an in-state addition from Cedarburg and is a product of the FC Wisconsin soccer club. In a conversation earlier this year with UW Athletics, Head Coach Paula Wilkins shared some high expectations for the freshman Weiss. “We believe [Weiss] is going to have significant impact in our attacking group, similar to Dani Rhodes. It’ll allow her and other members of this class a lot of interchange and have us become a better attacking group than we have been in the past,” Wilkins said. Not to be forgotten are two freshmen keepers Hamdan and Rawnsley. While their lack of collegiate experience may keep them from playing early on, they should ultimately succeed Caitlyn Clem after the longtime keeper graduated this spring. A local product of Middleton, Hamdan is probably the more polished of the two. The freshmen keeper led her soccer club, the Madison 56ers, to the U-19 state championship in 2018 as well as taking home the girls U-18 state and Midwest titles back in 2017. But for this year, Wisconsin returns just two keepers in Jordyn Bloomer and Grace Quirk. Though she didn’t get significant action, Bloomer was the only one to play last year so one might expect her to take over the position at least in the short term. 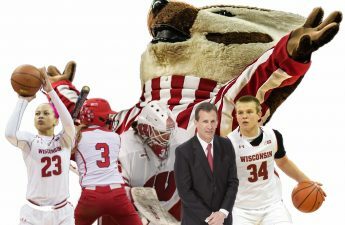 If you’re in Madison this summer be sure to check out the improved Badger squad when their season kicks off in August.